I’ve been studying energy (positive and negative) since 1984 and I’ve learned a tremendous amount of information and implemented much of it to create a life I love that gets better every day. Yes, I have my “off” days but I’m practiced at getting back on track and into my positive energy again very quickly. While it’s true that over the years there have been people who didn’t want to be around me because of my positive attitude, I certainly didn’t want to join them in their dismal world of fear and complaints either. So we parted ways. I don’t know where they are now but I’m certainly happy and no one is dragging me down or guilting me into living small so their misery has company. Negative people do not, have not and never will fit into my happy life plan, and my boundaries are very strong. If you have negative people in your life, you’ve attracted them and now is the time to learn how you did it so you can adjust your energy and attract positive people instead. This happy life isn’t about acting happy when you’re not or smiling when you feel like crying. It’s about energy. Stick with me here! Quantum physics (my simple definition: study of the tiniest units of energy/pieces of matter) proves everything is vibrating and nothing is still or solid. Yes, it seems your body and that chair you’re sitting on are solid but viewed through the most powerful microscope, the pieces of matter that make up both aren’t even touching one another! Everything is made of energy that magnetizes to other energy which is vibrating at the same rate – high or low. High attracts high, low attracts low – and that is the Law of Vibration, which is where the Law of Attraction comes from. You may have no interest in quantum physics so let me share why this is so important to your life, health, relationships, money and happiness. “What you think about you bring about” is a popular phrase in self-help and personal growth circles but there’s one HUGE missing piece…FEELINGS. What you FEEL, you attract more of. You are a walking magnet. A high vibrating magnet (A) magnetizes to itself, people, things and situations that are on it’s same frequency like happy people, promotions at work, good physical health, happy relationships, plenty of money in the bank account. A low vibrating magnet (B) magnetizes to itself, people, things and situations that are on it’s same frequency as well like depressed people, car accidents, poor health, gossipy backstabbing coworkers, relationship issues, financial problems. 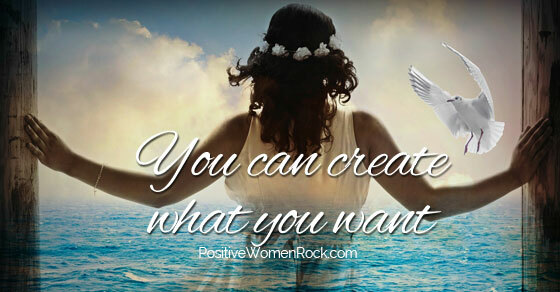 In order to create what you want in life you must visualize yourself already having it and FEEL the feelings of being there. The feelings are the creative energy and act as a magnet to call in what you want. Example: Let’s say you want a new car. First of all, WANT the new car because you want a new car. If you focus on NOT wanting your old car, you’ll magnetize more of having your old car with your don’t want energy, which is as powerful as your want energy. Visualize yourself having the new car you want. Smell the scent of the new car, feel the upholstery, see the road from the drivers seat, hear the stereo and the tires on the road, touch the steering wheel. Live it in present tense. No “I will have” or “when I get” but right now, you already have it. Got the feeling? Is there a smile on your face? HOLD right there. That’s the key… FEELING. You feel your way into the life you want. Grab my free Visualization Checklist to ensure your success in creating what you want. Kelly, I have read that book and LOVE IT! I have read it repeatedly and get something new out of it every time. I know there is a workbook out there for this book too, but I found this simple enough by itself that I could shift my mindset without it. The book is fabulous and I would love to participate in any discussions you host around this book or this topic! Thanks for sharing it with others. I know they will love it too. I will definitely pick up this book and read it. Thank you for your kind words, Kathi! I agree about much of the posts on this topic and look forward to hear what you think of the book. Totally agree with these thoughts here, Kelly! Long before I knew about any of this, I was struck with the idea of recruiting a woman named – believe it or not – Kelly to join my team!! I did not know a Kelly in my community, but felt that there was a woman named Kelly that needed what I had to offer thru my opportunity. Within a month, a woman named Kelly contacted me and asked to join my team. She was referred to me from a guest at one of my parties (I was a manager with a home party company at the time). After that, I focused on recruiting a woman named Kathy. I then recruited a Kathy, Kathryn, and a Katie within a span of 2 months. True! Great experiences with the law of attraction, Julie! Thank you for sharing. It’s so fun to hear stories like that because when they happen it’s such a confirmation. Congratulations! Hi Kelly – Just wanted to say thanks for recommending ‘Excuse me your Life is Waiting. Finally got around to reading it the other day and thought it was brilliant. Wondering how it has impacted your life? I believe it will make a big difference,so was curious as to what sort of results you have had since immersing yourself in its principles. Hope you are well. Hi Wendy! I’m SO glad you read the book! I’m finishing up my 5th time of reading it back to back. I’ve been practicing the principles all along and see new things I’m ready for each time I read it. It has truly impacted my life dramatically especially when used with my other life coaching practices. I’ve created more peace of mind and can achieve in a few seconds if I find myself getting stressed or paying attention to negative news or people. Physically, from a new car (2013) without payments to noisy neighbors moving out and being replaced by peaceful ones to new groups of friends and stronger relationships, it’s been a fun, wild ride that keeps on going! Although I’ve been practicing what’s in the book for years, it’s such a practical guide and easy to explain and understand, it’s helped me to do all of what I was doing much quicker and easier with more confidence. I look forward to reading it for the 6th time to see what more I’m ready for then. How are practicing the principles in the book helping you, Wendy? Thanks Kelly. I agree. I have read the principles before but in this particular book the author completely nails it. She has a wonderful writing style and can put it down in a really clear and easy way to understand. I was so motivated by the book that I ended up summarizing it into a list of bullet points. I intend to go back to these bullet points regularly and to apply the principles ‘religiously’. I do not intend for this to be a book which is nice but then is forgotten and so nothing changes. Thanks again for recommending it to me. Take Care. I have the book the Law of Attraction and I will read the book Excuse Me, Your Life Is Waiting. When you are in a negative vibe you will attract negative people in your life. One of my instructors gave us a handout on avoiding negative people. After, my divorce some people thought I would fall apart or become self destructive. I viewed it as an opportunity to be the person I really was: positive, full of energy and bravely facing the future. I look forward to hearing how you like the Excuse Me book, Arletha! Be sure and let me know. Your attitude about your divorce is a healthy one. You probably learned a lot from the marriage about what you do or don’t want in your life now and can move forward having more experience and a much better future that if you saw if as a negative. People come into our lives for a reason, a season or a lifetime. Few are lifetime people so we need to learn from them, inspire them when we can and move on to what’s next.